and shoot anything that isn't you! 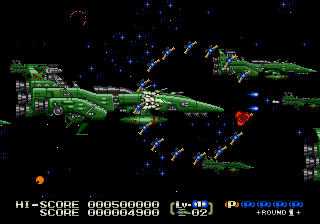 me a helluva lot of the Macross shooter for the SNES. squarely in the top five all-time great Genesis shooters. shooter fans really don't care about such stuff, do they? 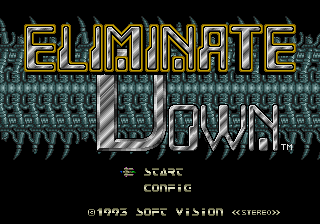 One of the elite shooters on the MegaDrive along with Gleylancer and the Thunder Force series. Great graphics, crazy art direction, and some tough shooting action make it a classic. Expect to pay a pretty penny if you intend to hunt it down.